Audrey Hepburn quotes. Hepburn (1929-93) was a Belgian-born actress and humanitarian, most famous for playing Holly Golightly in Breakfast at Tiffany's. 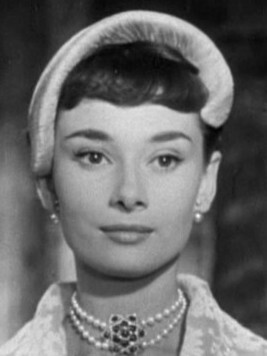 She also starred in films like Roman Holiday, Funny Face and War and Peace. Hepburn was a long-time muse for Hubert de Givenchy, who designed her iconic little black dress for Breakfast at Tiffany's. In her later years, Hepburn worked as a UNICEF Goodwill Ambassador, helping impoverished children all over the world. She spoke English, French, Dutch and Spanish. The beauty of a woman is not in a facial mole, but true beauty in a woman is reflected in her soul. It is the caring that she lovingly gives, the passion that she shows. I'm not beautiful. My mother once called me an ugly duckling. But, listed separately, I have a few good features. Somebody said to me the other day, "You know, it's really senseless, what you're doing. There's always been suffering, there will always be suffering, and you're just prolonging the suffering of these children [by rescuing them]." My answer is, "Okay, then, let's start with your grandchild. Don't buy antibiotics if it gets pneumonia. Don't take it to the hospital of it has an accident. It's against life––against humanity––to think that way." Pick the day. Enjoy it––to the hilt. The day as it comes. People as they come...The past, I think, has helped me appreciate the present––and I don't want to spoil any of it by fretting about the future. People associate me with a time when movies were pleasant, when women wore pretty dresses in films and you heard beautiful music. I always love it when people write me and and say "I was having a rotten time, and I walked into a cinema and saw one of your movies, and it made such a difference." Audrey Hepburn quotes are part of Enjoy Your Style's Quotes section.